Welcome to Lakes Jakaranda Holiday Units. 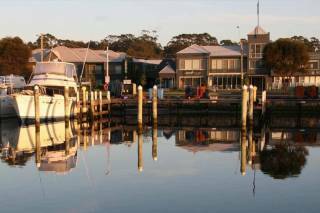 Our units are centrally located and close to all facilities in Lakes Entrance. It is an easy walk to the footbridge over the lake to the ocean. Here you can swim, surf, hire a paddleboat or canoe, laze in the sun or possibly sight a dolphin. Lakes Jakaranda Units are located just around the corner from the shops and the cosmopolitan choice of restaurants; we arealmost opposite the Lakes Sports and Community Club and a short stroll to the Bowls Club. We have six spacious ground level units available. It is our desire to make your stay a pleasurable one. The units come with a queen and two singles. An extra bed is available. With every unit, towels and linen are supplied, and cleanliness is a priority. We have an outside Barbecue facility for use by residents. Undercovercover parking is available for 3 vehicles. There is also a boat parking area. 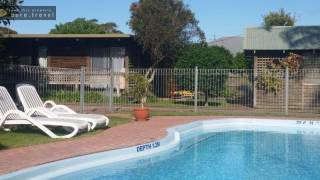 There is no onsite reception at Lakes Jakaranda Holiday Units. 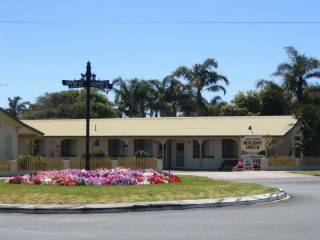 You will need to collect your keys from Bellevue On The Lakes, 201 The Esplanade, Lakes Entrance at reception. Please be sure to have your confirmation letter on you when collecting keys.